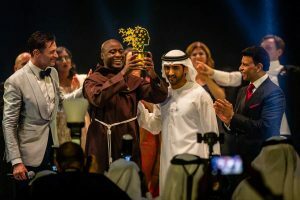 The BBC reports a Franciscan friar from rural Kenya has won the Varkey Foundation Global Teacher Prize 2019. The award was set up by Indian entrepreneur Sunny Varkey to promote excellence in teaching. It is worth $1m and is paid in installments. 2109 winner Peter Tabichi teaches maths and science at Keriko Mixed Day Secondary School. Here is a video on YouTube of an extended interview with Brother Peter and his father. The school is located in Pwani Village, just south west of Nakuru, which lies two hours north of Nairobi. We became interested in the Global Teacher Prize when a homosexual activist in the UK made the short-list of ten. Andrew Moffat is assistant head at Parkfield Community School in Birmingham. There he developed a homosexual propaganda programme called ‘No Outsiders.’ The programme encourages primary-age children to read campaigning books such as ‘King and king’ and ‘Two dads’. To raise the numbers of children deciding they are ‘trapped in the wrong body’, Moffat also recommends ‘My Princess Boy’. Previously Moffat wrote a homosexual activist tool called ‘Challenging Homophobia in Primary Schools’ or ‘CHIPS’. So he was always a gay activist first and teacher a long way second. Many of our members made that point to His Highness Sheikh Mohammed bin Rashid Al Maktoum. So did many of the parents of children at Parkfield School. HH is UAE Vice President and Prime Minister and also Ruler of Dubai. It was he who presented the prize. This writer also emailed selected members of the 210-member judging panel, or ‘academy’ as Sunny Varkey calls it. The prize criteria look for achievements. I was able to show them Mr Moffat’s greatest achievement has been uniting the local community – against him. In truth, any of the nine real teachers could have won the prize. For example, Debora Garofalo is another science teacher this time from São Paulo, Brazil. She has helped over 2,000 students learn electronics and robotics while turning junk into usable items. Martin Salvetti teaches in Buenos Aires, Argentina. While there he set up a weekend football club involving students and staff. Next, he secured funding from an arts programme organised by a group of charities. This supported a radio & cinema project and a band. In 2007, Salvetti and his students won a national competition for their work. They invested the prize in broadcasting equipment and their station now broadcasts around the clock. In Gujarat, India, Swaroop Rawal teaches at Lavad Primary School. She also reaches children on the streets and in rural communities. Her pupils helped put a stop to child labour in the diamond polishing industry and facilitated children’s return to school. Vladimer Apkhazava from Georgia is another teacher who has raised funds for the children in his school. Eonomic pressures are high, with some pupils coming to school hungry. There are also problems of child labour in the region, which Vladimer has made it his mission to oppose. He won Georgia’s National Teacher Award in 2017. Nevertheless, in our house Peter Tabichi stood out and Judy and I prayed he might win. Firstly, obviously, he is from Kenya. Naturally, Judy circulated the prayer request around her praying Kenyan friends. Secondly, the man’s achievements are astonishing and challenging. Brother Peter gives away 80% of his income some of which helps the poorest students at the school. The school, like other Kenyan secondary schools, is fee-paying. Nevertheless, many parents can only just afford the modest fees, let alone uniforms and books. This is where Peter Tabichi steps in. Some students can walk 4 miles to school. Moreover, they will make it despite rainy season floods or dry season scorching heat. The Prize page says: ‘Peter has dedicated his life to helping others. He gives 80% of his teaching salary to local community projects, including education, sustainable agriculture and peace-building. Despite only having one computer, a poor internet connection and a student-teacher ratio of 58:1, Tabichi started a ‘talent nurturing club’ and expanded the school’s science club, helping pupils design research projects of such quality that many now qualify for national competitions. 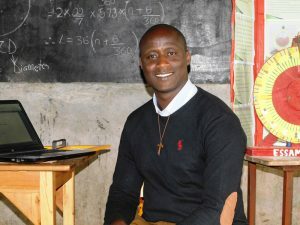 The Guardian reported Tabichi and four colleagues also give struggling pupils one-to-one tuition in maths and science, visiting students’ homes and meeting their families to identify the challenges they face. Enrolment at the school has doubled to 400 over three years and girls’ achievement in particular has been boosted. Here’s a video on YouTube about Peter Tabichi. It opens, like all our links, in a new tab. 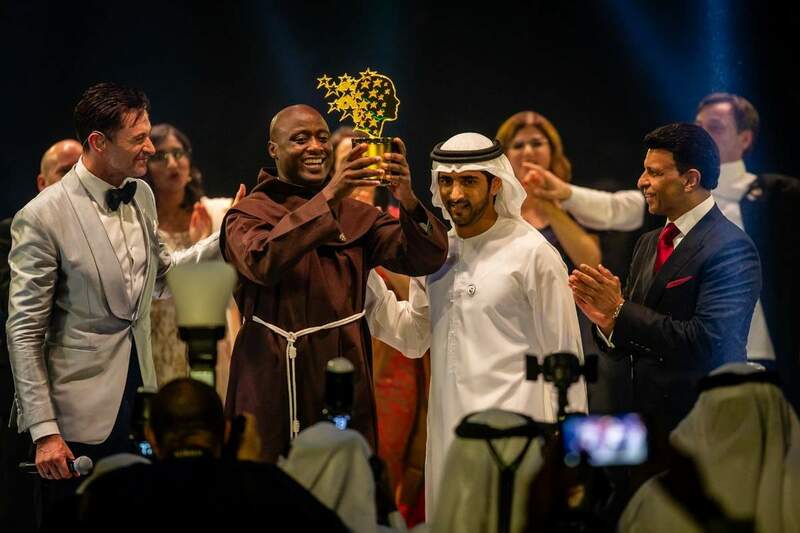 Peter Tabichi, in a photo from the Global Teachers Prize short list, wearing the Franciscan ‘Tau’ cross. In the short-list photos, although he was always pictured in casual dress, one feature grabbed my attention. Mr Tabichi was often wearing a curious wooden ‘T’ symbol around his neck. Realising it must have religious significance, I spent an hour researching it. I’ll share what I learned in the hope it may challenge and inspire somebody. That might be unfair to the monasteries, many of which supported the poor around them. And of course the Franciscans also lived communally in Friaries, like the one which existed near this writer in Carmarthen. Nevertheless, our churches could take note lest we become ‘holy clubs’. This ministry loves to see churches which are outgoing with good works and prophetic words to our leaders while preaching the Gospel in the community. In all the pre-prize publicity Peter Tabichi was dressed in ordinary clothes. For the prize-giving, he turned up in his full Franciscan habit. What a picture when His Highness, in his Arabic attire, presents the prize to Brother Peter, in his Franciscan habit, with the LGBT secularist Moffat looking on. The Kenyan president, Uhuru Kenyatta, said in a video message: ‘Peter, your story is the story of Africa, a young continent bursting with talent.’ Here’s his video tribute. The $1m of prize money could have ended up in the pocket of a homosexual activist. Instead, it has gone to a man of faith helping his community. We give God the glory, and our members who prayed and all who emailed His Highness can take pleasure in answered prayer and an outcome beyond our dreams. Thank God for this outcome. Pray for Peter Tabichi, that he will give glory to God and use the money to benefit his community and advance the Kingdom of God. Thank you Jesus! Thank you Stephen; for all your faithful ministry and your example. Better to be a Muslim than an Atheist. Better to wear robes than ordinary clothes (?) . Thank you for bringing us this excellent news, for your champening of this Kenyan brother, and for your background research.